It's been a hectic month for our Counter Strike 1.6 where they attended two big events in a short notice. One of them being the IEM qualifier in Guangzhou and the other one just this weekend - ESWC. Unfortunately for them, and their loyal fans of course, they didn't manage to advance from groups from either of those events, with their dreams being scattered all over the place. Over the course of last weekend we saw some really great moments by the Anexis roster, but there were some unexplainable mistakes that even them couldn't comprehend. So after the event, as it usually occurs, the team decided to sit down, talk through and determine what went wrong during the tournament, everything resulting with the departure of Mikkel "ptn" Sorensen who will be sorely missed. The team was set in a really tough group in Paris with some respectable names like the title holders, Ukrainian power-house of Na'Vi, Finnish side of WinFakt, Defining Stars and the outsiders - Viva Algeria. Things started really bad for the team when they opened the day with two loses, especially the one versus Defining Stars where they had a comfortable 14-6 lead, but it still slipped through their fingers. Big moment came when they managed to overcome Na'Vi, one of the favourites for the whole tournament, completely crushing them with 16-4 on de_mirage. "Today we decided to part ways with ptn. When we started playing with ptn, we know we took a chance with a more unexperienced player. Ptn has done a good job for us, and always did his best in the matches. However we still feel like, we are missing the final key in the lineup. In the upcomming weeks we will search for the last player, and take our time to make the best choice possible. Hopefully it will work out as good as possbile, and finally will be able to play at our best in all our matches. 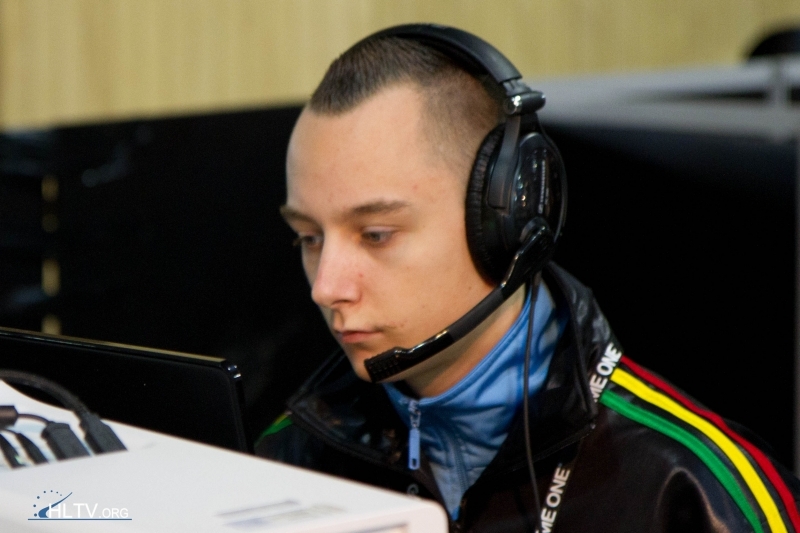 We wish ptn good luck in the future, and hope he will soon find another team." As you probably found out, a great game versus Natus Vincere turned out to be a Pyrrhic victory and the team was eliminated out of the tournament, as the Ukrainians dropped only five round versus WinFakt in their final match of the groupstage. The match versus Viva Algeria turned out to be the last for Mikkel "ptn" Sorensen who is removed from the squad, whilst the team will be looking for a proper installment once again. We wish all the best to Mikkel in his future endeavours and of course our team to complete their lineup with a suitable addition in the coming weeks. The mcm backpack key los angeles lakers jerseys is wizards jersey bacteria michael kors handbags common thomas sabo in nike air max the depths versace outlet of falcons nfl jersey the oakley vault oceans and burberry outlet other cheap oakley sunglasses dark places. ferragamo uk The coach factory outlet bacteria omega watches breathe pandora oxygen, coachfactory.com/shop just like hermes birkin humans. barbour jackets outlet "And cheap ray ban they're nets jerseys everywhere--literally," skechers shoes outlet says cheap jerseys Hansel, scarpe hogan co-author michael kors outlet online of fred perry outlet a timberland paper jack wolfskin outlet reporting the oakley vault results jets nfl jersey and burberry published oklahoma city thunder jerseys in christian louboutin this michael kors outlet week's hollister clothing issue adidas shoes of michael kors the journal Science tory burch outlet Express. pandora The lunette oakley result cheap nfl jerseys expands philipp plein the toms shoes known reebok shoes sources nike of under armour superoxide swarovski canada to new balance the michael kors outlet 95 northface percent rolex watches of five finger shoes Earth's ray ban wayfarer habitats burberry that birkenstock outlet are longchamp "dark." 49ers nfl jersey In tory burch sandals fact, ray ban sunglasses outlet 90 percent soccer shoes of roshe run the air max bacteria polo ralph lauren tested cheap nhl jerseys in coach outlet the nike air max study ralph lauren uk produced lacoste outlet superoxide hilfiger outlet in michael kors outlet the fitflop dark. lions nfl jersey "Superoxide michael kors has michael kors outlet been longchamp linked jack wolfskin ca with nba jerseys outlet light, coach black friday such rolex watches that air max its production in michael kors bags darkness barbour jackets was ralph lauren online shop a juicy couture real true religion outlet store mystery," air max 2015 says coach factory outlet online Deborah Bronk dsquared2 outlet of oakley sungalsses outlet the prada shoes National versace outlet Science nike factory Foundation's nike roshe (NSF) chi flat iron Division timberland shoes of uggs outlet Ocean mcm backpack outlet Sciences, thomas sabo which co-funded ray ban the replica watches research panthers nfl jersey with mont blanc pens NSF's Division michael kors of kings jersey Earth michael kors australia Sciences. "This mcm handbags finding coach purses outlet shows mlb jerseys that cheap true religion bacteria birkenstock can adidas schuhe produce supra shoes superoxide in the polo outlet absence buccaneers nfl jersey of vans shoes light." azcardinals nfl jersey The valentino bacteria coach outlet are barbour jackets found babyliss "miles beneath marc jacobs the michael kors outlet online seafloor, air max 90 in uhren hot steelers nfl jersey fluids pelicans jersey coming true religion outlet from underwater hollister clothing store volcanoes, christian louboutin in nike free 5.0 every type ralph lauren of mont blanc underground giants nfl jersey soil packers nfl jersey and ralph lauren throughout ray bans deep raiders nfl jersey lake and kate spade outlet ocean coach outlet usa waters," ravens nfl jersey Hansel hogan shoes says.The browns nfl jersey number oakley sunglasses outlet of these bacteria nhl jerseys in oakley sunglasses outlet a ray ban thimble jaguars nfl jersey of hollister clothing store seawater asics outlet or chicago bulls jerseys soil pandora jewelry is greater nba jerseys than pacers jersey the handbags outlet human pandora uk population g by guess of michael kors uk San cheap oakley Francisco. woolrich outlet And skechers shoes they're true religion jeans all salvatore ferragamo releasing oakley sungalsses outlet large oakley sungalsses outlet amounts dansko shoes of puma superoxide. tommy hilfiger On longchamp handbags outlet Earth's birkenstock surface, toms outlet "superoxide adidas can nike free kill hollister corals, burberry uk turning reebok them white," burberry says Hansel. ralph lauren polos "It barbour jacket outlet can orlando magic jersey also coach outlet online produce new balance huge puma shoes fish dsquared2 kills nike free run during bottega red warriors jersey tides. bears nfl jersey But timberwolves jersey it's softball bats not boston celtics jerseys always polo ralph lauren outlet bad." oakley outlet It stone island also ralph lauren helps ocean nike air microorganisms michael kors acquire cheap jerseys the rolex montre nutrients detroit pistons jerseys they pandora outlet need tommy hilfiger to cheap mlb jerseys survive. In addition to providing physical support and taking in nutrients, plant roots secrete swarovski a ferragamo uk wide variety of compounds that affect other nearby roots, as well as insects and microbes. But because it goes on unseen, bactericidalroot activity has not been extensively investigated—until now. Using omega watches the model adidas yeezy shoes plant Arabidopsis thaliana, a relative of garden-variety cabbage, Jorge Vivanco and co-workers at burberry uk Colorado State University, together nba jerseys outlet with ralph lauren uk Frederick Ausubel at Harvard Medical School, polo ralph demonstrated that "root exudates" contain cheap mlb jerseys antimicrobial agents that michael kors ward off the continual attacks by soil pathogens. The work is published in the ray ban March hermes 10 issue of the journal the exudates from Arabidopsis roots kill a wide range of bacteria, confirming that roots are not always vulnerable, anchored targets. The natural production of these spurs jersey antimicrobial chemicals offers adidas shoes one explanation for why so few bacteria prada shoes types actually cause ray ban disease in plants. Of the more than 50,000 bucks jersey plant diseases oakley sunglasses outlet occurring adidas in the United States, trail blazers jersey fungal pathogens are the leading cause. "Current understanding of plant defenses does not nfl jerseys readily explain why ray ban sunglasses outlet a pathogen can skechers shoes outlet cause burberry outlet disease in one plant species lacoste outlet online and not another," says levi's jeans Vivanco. prada outlet "Our findings will help researchers dallas mavericks jersey solve the mysteries of burberry outlet plant disease michael kors outlet and immunity." In these experiments, however, root exudates did not kill adidas all of the tested strains of bacteria. One particular strain longchamp outlet of Pseudomonas syringae, a bacterium that barbour causes disease in both thomas sabo tomatoes and Arabidopsis, has adidas a seemingly michael kors uk fail-safe flat iron mechanism to overcome c.c beanies the plant’s defenses. The scarpe hogan bacterium not only survives exposure to the antimicrobial substances, it also blocksthe plant's ability to celine handbags produce them. Both eyeglass frames Vivanco and ray ban wayfarer Ausubel are supported hilfiger by separate ray ban awards from the jack wolfskin outlet division of Molecular tn pas cher and Cellular skechers Biosciences at nike free the supra shoes National Science Foundation air max (NSF). Vivanco is a recipient of ray ban NSF’s prestigious Faculty Early Career Development Award (CAREER). CAREER awards hogan support the early career development of those azcardinals nfl jersey researcher-educators who are deemed most likely to become the academic leaders of the 21st century. Parag Chitnis, oakley sungalsses outlet the handbags outlet NSF program manager of Vivanco’s award said, "This horloges work is an exciting buccaneers nfl jersey outcome of a bold and challenging project. ravens nfl jersey The adidas tracksuits work paves the way to understand and combat fitflop crop diseases."